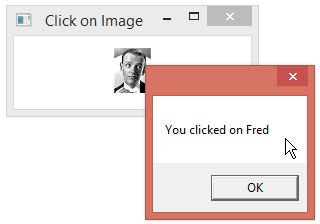 You can allow clicking on an Image by using it as the control template for a Button. In the example below, we define a button that consists of an image and a border that lights up when you hover over the image. Below, we can see the clickable Image in action.